With all the pet dogs in U.S. households, it’s no surprise that more than 800,000 Americans get medical treatment for dog bites every year. And that number doesn’t include other kinds of injuries, like when a dog knocks someone over or causes an accident by chasing a motorcycle. Depending on the circumstances and the relevant laws, dog owners are generally liable if their pets hurt someone. That means the owners (or their insurance companies) may have to pay the victims for the harm they suffered or damages. Many states, including Texas, have passed laws which hold a dog owner liable for a dog bite attack even if the dog has never bitten anyone. This is called strict liability. These types of laws effectively eliminate the “one-free bite” rule because liability is based upon ownership. 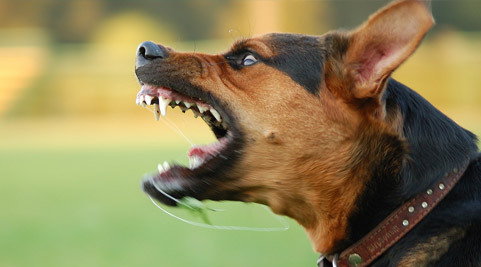 It is irrelevant whether the dog bit someone previously but rather whether the owner knew the animal had a capacity or tendency to be vicious or aggressive towards humans. Do I Need to Hire a Dog Bite Lawyer After a Dog Attack? determining who is responsible and whether there is coverage can be difficult.. If you were injured as a result of a dog bite and suffered injuries, it is important to get a consultation from a knowledgeable Dallas and Fort Worth dog bite attorney. Mizani Law Firm is available 24/7, and will travel to you to offer a free consultation in Dallas and Fort Worth. At Mizani Law Firm, we are committed to ensuring that our clients injured in a dog bite claim receive the compensation they deserve. Our Fort Worth dog bite attorneys have a proven record of success handling these claims, and are prepared to go toe-to-toe with the insurance company.